Moscow is ready to take necessary reciprocal measures to ensure balance in the sphere related to the Intermediate-Range Nuclear Forces (INF) Treaty, but it will not deploy missiles in the European part of Russia as long as the United States does not deploy its facilities in Europe, Deputy Foreign Minister Alexander Grushko said. “We will take all the necessary reciprocal and symmetrical measures in order to ensure balance in the INF sphere. However, we do not plan to deploy our missiles, including in the European part of the country, as long as there are no US facilities of this kind in Europe,” Grushko said in an interview with Russian journal International Affairs. He called on Europeans to prevent Washington from deploying its missiles in Europe, warning them against the possibility of United States’ absolute military and geopolitical reign. On February 2, the United States formally suspended its obligations under the INF Treaty and launched a six-months withdrawal process. Washington has said it would terminate this procedure if Russia remedied its alleged violations of the bilateral arms control deal. 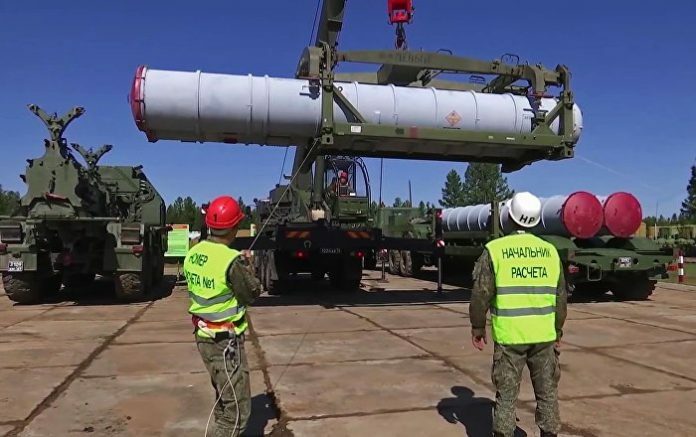 Russia has repeatedly insisted that it is not violating the INF Treaty and accused the United States of breaching the agreement. Russia has suspended its obligations under the treaty in response to the US move.